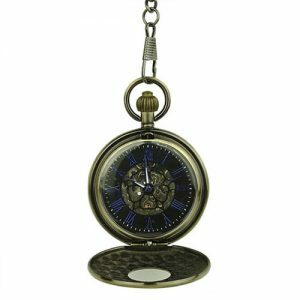 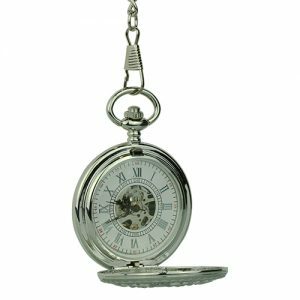 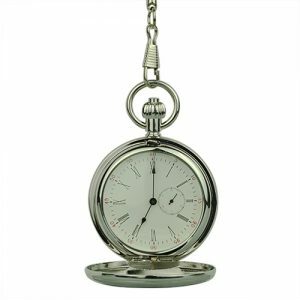 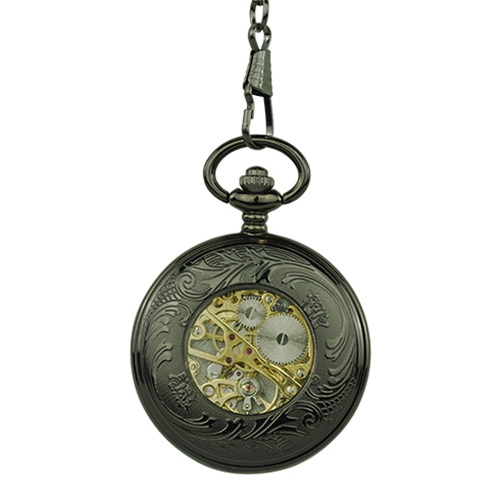 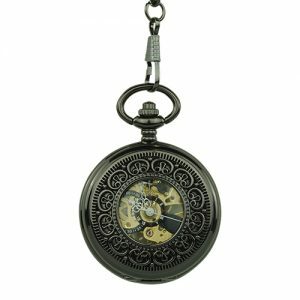 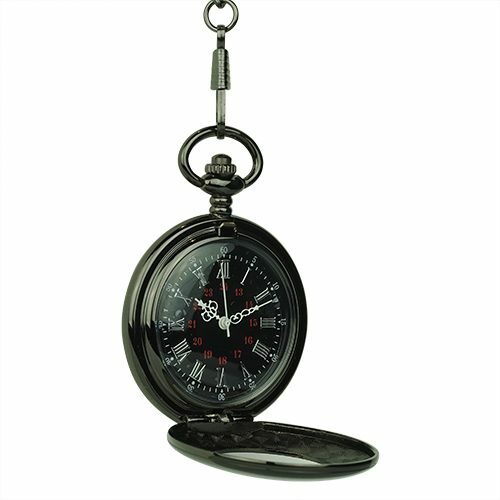 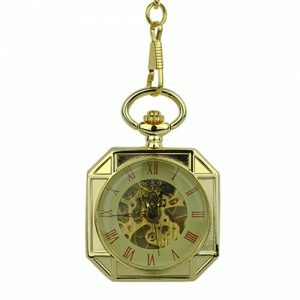 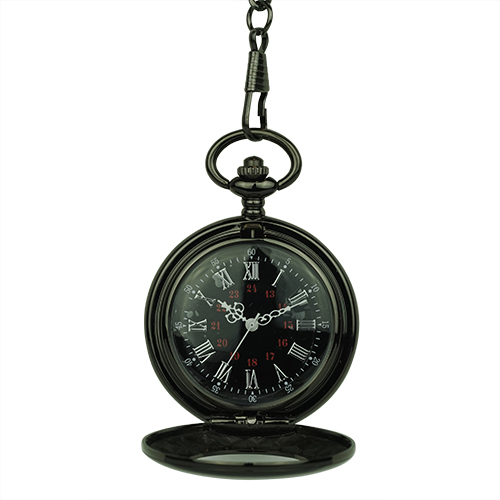 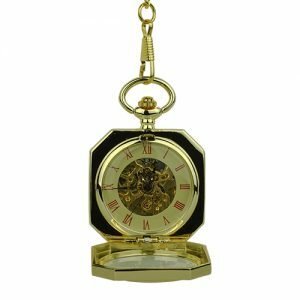 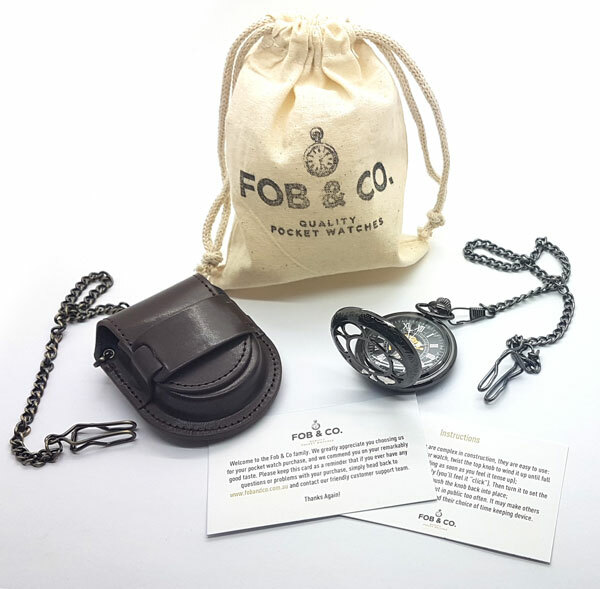 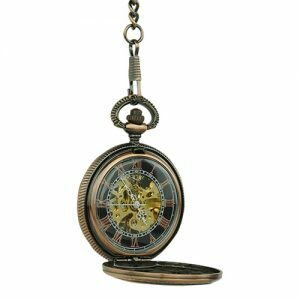 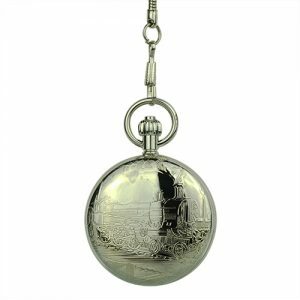 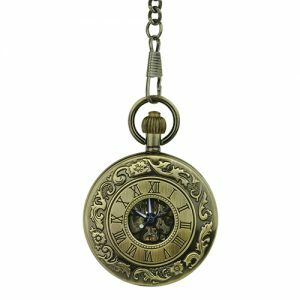 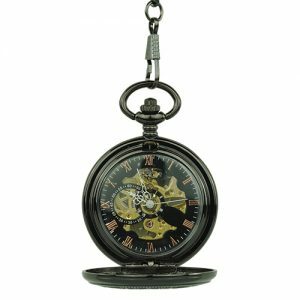 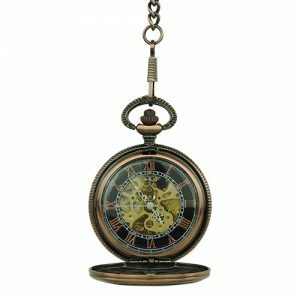 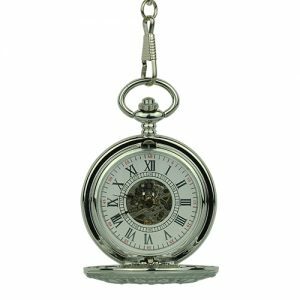 Ultra-Glossy Black Metal Half Hunter Pocket Watch - Fob & Co.
Gorgeously crafted with a minimalist touch, the front cover on this dapper pocket watch features a polished, black finish with a see-through window. 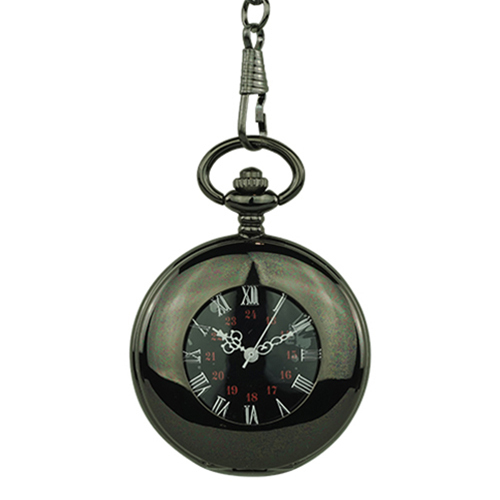 A look inside reveals white Roman numerals and red Arabic minutes atop a black background. 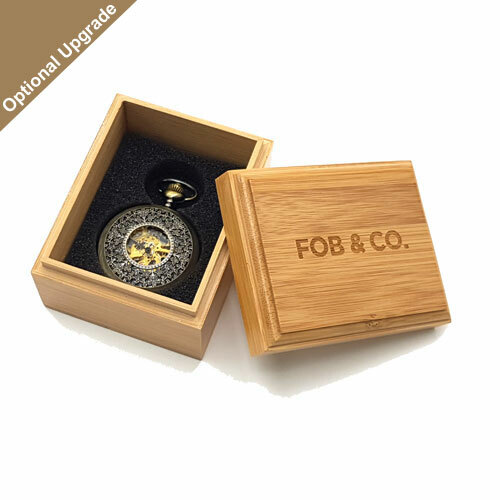 Turn this timepiece over to see a back cover filled with flowing flowers and vines and a generous crystal window for viewing the gold finished skeleton.